​are available for pressure cleaning jobs year round. How often should I get my Lismore property pressure cleaned? With beautiful and often older style houses and buildings, Lismore requires both residential pressure cleaning and commercial pressure cleaning on a regular basis. At Full Circle, all Lismore pressure cleaning jobs are quoted for free and in every case, fixed price for the customers peace-of-mind. 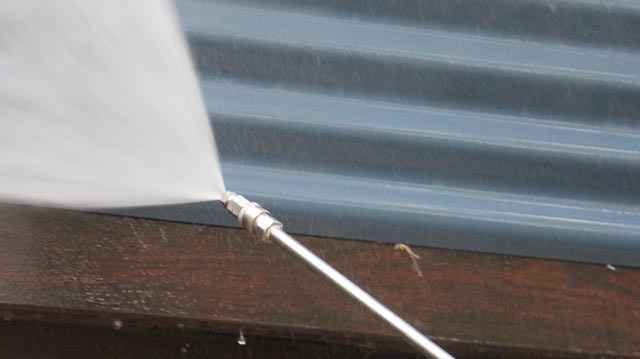 There’s no job too big in Lismore for our pressure cleaning team, so whether you just have a driveway or house to wash, gutters to clean-out, a whole roof or a factory to pressure clean, we can offer a competitive fast quote and prompt reliable service. All pressure cleaning tasks in and around Lismore are a short distance from our base in Tintenbar and all staff are insured, qualified to work at height and experienced.